Emily Branch Designs | Branch Out. : May Best Creation Blog Hop! May Best Creation Blog Hop! Grab your suntan lotion and a towel and get ready for a fun Summertime Hop to get some great ideas to get caught up with old summer photos and lots of ideas for inspiring you for this summer too!! Our first stop on this weekend hop is to Liz's blog and then off to a idea packed hop with the rest of the team and our Guest Designer for this month Shannon Morgan. And of course we have lots of chances to win some of our New June releases and 6x6 mini packs too. Be sure and leave a comment on either Facebook or the blog or sign up as a new Follower!!! The contest ends Sunday, May 29th at Midnight! 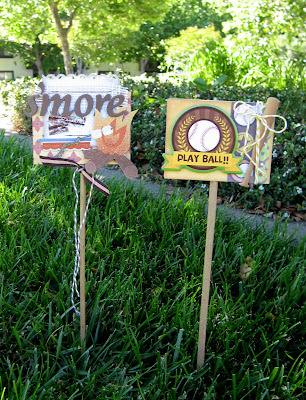 I created these fun lawn decor pieces to usher in summer fun like roasting marshmallows using the Gone Camping line and a cool way to support your little athlete's summer sport using the Baseball line! Leave me a little love and join my blog and I'll award some yumminess from Best Creations May collections! Those are very cute for the lawn, Emily! How do you protect them from the elements? I love these! I work with wood and these inspire me to combine my passion of scrapbboking and woodworking!!! Thank you for the inspiration! SUPER SUPER cute! 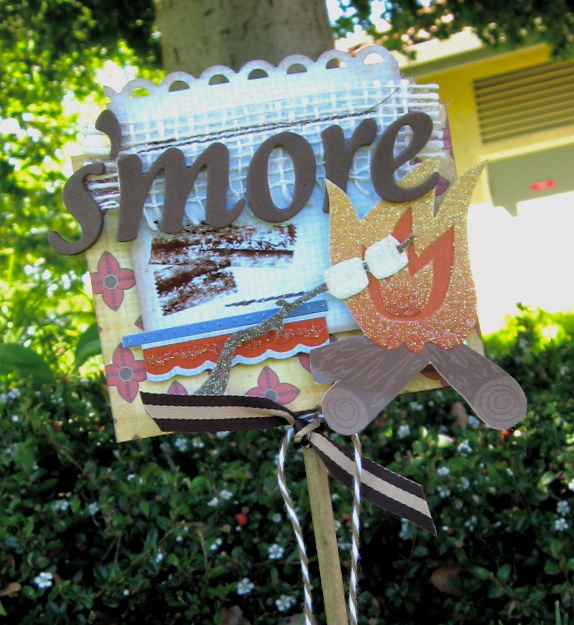 I love the smore's sign!! LOVE that glittered fire!! You rocked this line--love it! MUST put it on my list of things to get:) MUST HAVE!! What an awesome project and so creative! I just absolutely love these! TFS!! Oh my goodness, how cute are these! I totally love this idea, I have never thought to make my own yard decorations, so clever!! Thanks for the inspiration! These are so adorable and what a great way to liven up the yard! too cute and perfect for those summer parties!!! thanks for sharing!!! Very cute idea! 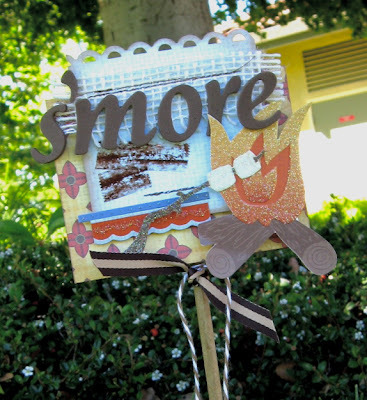 I love the s'mores sign! Great job! Thanks for the inspiration! I love the signs. what a great idea. They would be perfect for summer activites. Thanks for sharing of your talent! Cute and lovely!! Way to go! what an original idea to have lawn decor items ! Fantastic summer project idea!! I LOVE your work! I love your lawn decorations. Those are so cute to celebrate summer.